The defense contractor and aircraft manufacturer said Tuesday that Haley will stand for election at its annual shareholder meeting on April 29. In 2017, Boeing workers in North Charleston voted about 3-to-1 against representation by the International Association of Machinists and Aerospace Workers, a resounding setback for unions that have long hoped to make inroads in the South. Boeing did not say whether Haley will replace a current director or will expand the board. A spokesman said the company would disclose more details when it files a proxy statement next month. There are currently 13 directors including a former White House chief of staff under President George H.W. Bush, a former U.S. trade representative under President George W. Bush, a former vice chairman of the Joint Chiefs of Staff under the younger Bush, and Caroline Kennedy, the U.S. ambassador to Japan under President Barack Obama. Boeing CEO Dennis Muilenburg said Tuesday that the company will benefit from Haley’s combination of diplomatic, government and business experience. 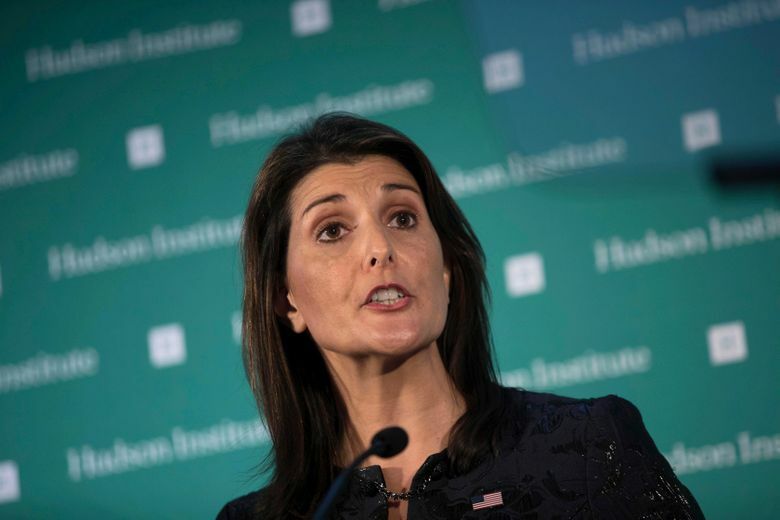 The 47-year-old Haley was named as ambassador to the U.N. by President Donald Trump, and served from January 2017 until December 2018. In a prepared statement from the company, she praised Boeing as the world’s biggest aerospace company and the largest U.S. exporter.